[Halifax Explosion, Nova Scotia, Canada, 6 December 1917.] Twelve postcards of scenes of devastation by the largest non-nuclear man-made explosion in history, by Underwood & Underwood of New York. Copyright Underwood & Underwood, N.Y. [New York.] 'Novelty Mfg. & Art Co., Limited, Montreal [Canada]'. Undated [1917 or 1918]. The largest man-made explosion before the the development of nuclear weapons, with a force equivalent to nearly 3 kilotons of TNT, occurred when the French cargo ship SS Mont-Blanc, laden with wartime munitions, collided with the Norwegian vessel SS Imo in the Narrows, a strait connecting the upper Halifax Harbour to Bedford Basin. The explosion devastated the Richmond District of Halifax, killing 2000 and injuring 9000. Each postcard carries the words 'Copyright Underwood & Underwood, N.Y.' next to the caption beneath the image, with 'Novelty Mfg. 2pp., 4to. Good, on lightly-aged paper. Addressed to 'Mons. Marc Julien [sic] | Redacteur de la Revue Encyclopedique &c &c'.Jullien's address has been added in another hand: 'Rue d'Enfer St. Michel No. 18'. 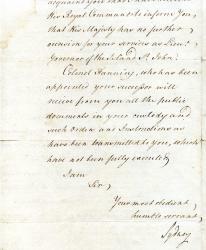 The first paragraph reads: 'Dear Sir | I have the pleasure to introduce to you Captn. Bromley, who is a zealous advocate of the cause of general Education, & who is visiting Paris for a short time. He will deliver you a Copy of the 21st. Report of the B. & F.
[Printed pamphlet on Nova Scotia, Canada.] 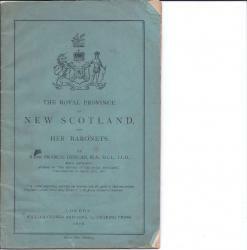 The Royal Province of New Scotland, and Her Baronets. London: William Clowes and Sons, 13, Charing Cross. 1878. 8vo, 20 pp. In original blue printed wraps, with publisher's advertisement ('List of Military Works') on back. Clear and complete. 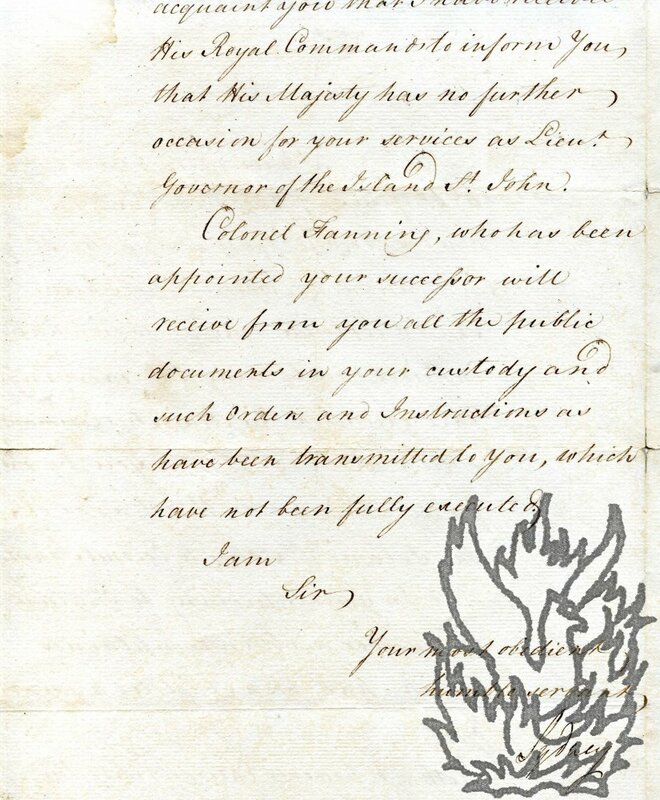 On aged paper, with wear and slight marking to wraps. Two appendices.